Since Monday’s can be a little hard to get back into the swing of things for me some, I am going to start sharing a motivational Monday song from my workout playlist to start the week off with a bang. Monday: The Fitness Games App. The Les Go circuit. Wednesday: The Fitness Games App. The Get Shredded Circuit. Sunday: Rest & more yoga and stretching/injury prevention moves. I am doing a mix up of workouts until I start the new plan with a personal trainer in September. I just need to stay active and not fall into the trap of thinking I can be inactive and eat crap and reason that I am starting fresh in September. I know myself all too well and am mentally prepared to defeat this way of thinking and stay on my A game. 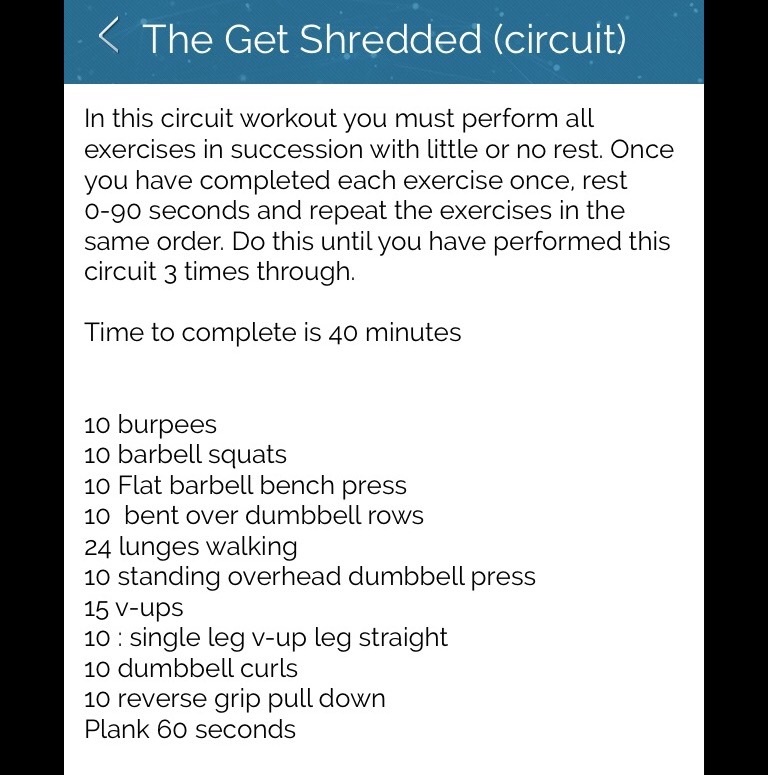 I updated the Fitness Games App and really like the circuit workouts. They work the entire body and are very challenging. They are Cross Fit type workouts done for time. Usually when I do strength, I do the typical rest between 3 or 4 sets of 12 to 15 repetitions. With the circuit, there is no rest until the cycle is complete. This is the challenging part for me. In other very cute and motivational news, my friend Beth messaged me this photo of her baby Sadie. Beth and her husband live in Texas, so I love seeing photos until I am able to meet little Sadie in person. That should put a smile on your face for Monday! 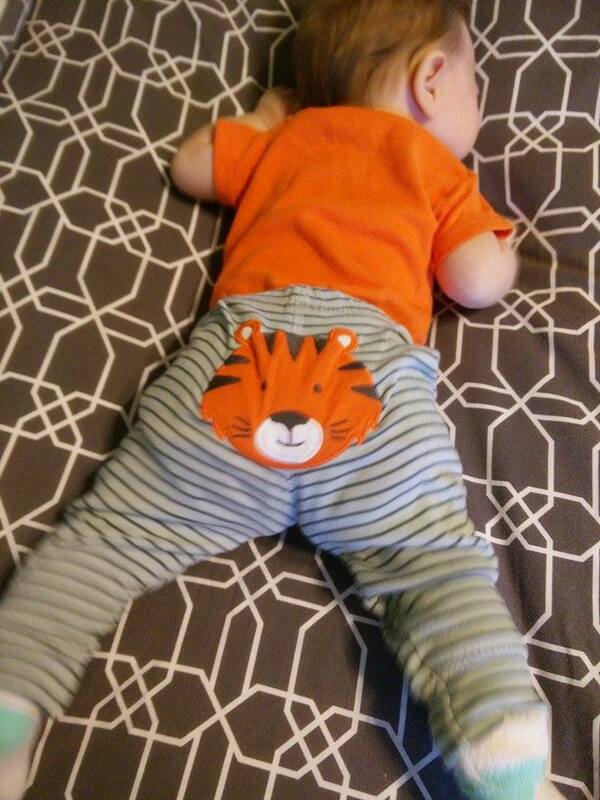 I’m trying to find out if they have these tights in my size. Hope you keep your Monday Motivated with those good song choices! Thanks for the good read. Thanks very much for stopping by. Glad you enjoyed the post. We did lots of lunges in the class I taught this morning. So good for ya! I love lunges, and there are so many variations too. Have a wonderful week as well! Cool that you’re exploring an app before meeting with your trainer! Hope you’re having a fantastic week! I really love the updates on TFG. Challenging and really kicks my behind! I need to look into this Fitness Game App……. Hmmmmmm! Intriguing! I think you would like it. And it has such great variety. omg, omg I love that song!!! And that baby picture is super cute! This post made me smile, cant wait to hear about your adventures with your trainer! I know. It’s one of my all time favourites on my playlist. Always gets me going. I am very excited to start working with Camille this fall. I will keep you posted. Oh my word, that picture of that little Sadie is precious!! So darling! That Get Shredded workout looks amazing. I need to look into that app. I know! That little Sadie is so darn cute. I hope her parents decide to visit soon. All the workouts I’ve tried so far on the app are very good and the advanced ones are killers. I think you’d like it.